While there may be nothing more delightful than loading your morning coffee with cream and sugar, they aren’t exactly the healthiest ingredients. Dairy products can cause inflammation, excess mucus, hormone imbalances, and digestive troubles. When it comes to sweeteners, processed sugar is better for you than artificial ones. However, it can lead to a host of detrimental health effects as well – inflammation, insulin resistance, food cravings, obesity, just to name a few. 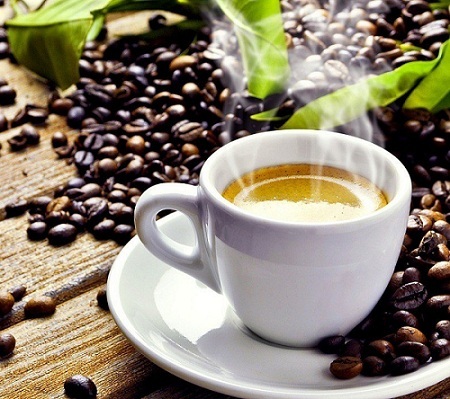 So can you enjoy a cup of coffee without destroying the health benefits of the beans? Absolutely! Here are some great items to add to your java that not only are healthy, but they will make your coffee taste great as well! While the honey that you usually purchase in the cute little bear bottles is heated, destroying beneficial enzymes, vitamins, and other nutrients, raw honey has not been pasteurized and therefore is still a health food. It naturally contains compounds that are anti-fungal, antibacterial, and anti-viral and has been used since ancient times medicinally. Raw honey has been used for dressing wounds, healing burns, and soothing bothersome rashes when applied topically. When used internally, honey has been shown to alleviate seasonal allergies, sooth sore throats, strengthen the immune system, and ease coughs. In fact, it has been shown in studies to beat a common cough syrup ingredient to suppress and ease nighttime coughing in children. Because of all of the benefits of raw honey, it is a great idea to consume it daily, so adding it to your coffee is a great idea. 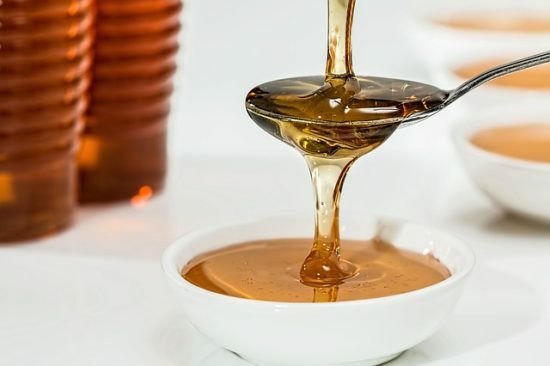 Since heating honey destroys its beneficial properties, you want to wait to add your honey until the coffee has cooled to drinking temperature or use it in cold coffee drinks. When shopping for honey, the darker the color, the more antioxidants and beneficial properties it has. If you can, purchase one that is locally packaged since that not only supports local farmers but consuming local honey is what helps to fight seasonal allergies. There are many different types of honey, so if you would like to use it for a specific condition, be sure to research which one is best for you. Throughout history, cinnamon has had many uses, from embalming after death to preserving meat and has been used for nearly 5,000 years. It was used as a meat preservative due to its anti-bacterial properties, as it was noticed that adding cinnamon would not only cover the smell of spoiling meat, but it also stopped bacteria from breaking down the meat. It has long been used medicinally and in medieval times it was used for soothing sore throats, coughing, and hoarseness. Records indicate that it was used in ancient Chinese medicine to cleanse the spleen and kidneys. Cinnamon is often used for digestive problems such as upset stomach. Recent research has found that it may be beneficial for regulating blood sugar which would benefit those with diabetes. In addition to being antibacterial, cinnamon is a great sources of calcium and iron as well as fiber. It has also been shown to have an anti-clotting influence on blood. To use cinnamon in your coffee, it is best to add ground cinnamon with your beans or ground coffee before it is brewed since it doesn’t always dissolve when added afterward. As an alternative, you can add cinnamon sticks to your coffee. This beloved health food which is responsible for giving us chocolate was once a recognized symbol of life. It has been depicted in images of ancient civilizations and has been used as medicine as well as currency. Like coffee, cacao, referred to as cocoa in America, grows on trees and comes from the seeds inside the fruit. Also like coffee, cacao has many health benefits. Containing plant compounds known as polyphenols, cacao may be able to improve heart health. These polyphenols have been shown to lower “bad” cholesterol (LDL) while improving “good” cholesterol (HDL), prevent blood from clotting, and fight oxidants which cause damage in the body. Along with polyphenols, the high fiber content of cacao may also help to lower blood pressure and control blood sugar levels. While there are many advantages to consuming cacao, chocolate in its processed form with sugar and dairy added, isn’t a truly healthy treat so it should not be eaten often. The closest to natural form that cacao is, the healthier, which is why raw, powdered cacao still retains many of the benefits of consuming the seeds. Powdered cacao can be stirred directly into brewed coffee to make a deliciously wonderful chocolate treat. Second only to pure water, green tea is nearly the most popular beverage in the world and for good reason. It is one of the healthiest drinks to consume. Like cacao, green tea contains polyphenols that are antioxidants. It is believed that one specific antioxidant in green tea, Epigallocatechin Gallate, is responsible for the vast amount of healing properties. Epigallocatechin Gallate, or EGCG, has been studied extensively and research has found that it is powerful enough to fight HIV, cancer, endometriosis, and a host of other disorders. Green tea contains caffeine, which we know is a stimulant that can help to improve brain function by increasing memory and speeding reaction times. It also has fat-fighting properties that can help people maintain a healthy weight. In certain studies, it has been shown to boost the metabolism in some, though there are varying results so not everyone will experience this effect. Similar to honey and cinnamon, green tea also has anti-bacterial properties. To add green tea to coffee, brew separately and mix together at the ratio which you find tastefully pleasing. Almond or other non-dairy milks taste great in coffee and can be a terrific replacement for cream or milk for those who prefer the richness of dairy in coffee. Almond milk typically contains less fat and calories than regular milk and is free of any animal products, making it a good choice for vegetarians or vegans who love coffee. Almond milk naturally contains many vitamins and minerals, such as calcium, magnesium, and potassium. These electrolytes help to keep the muscles healthy and keep your body running most efficiently. Vitamin E found in almond milk is an antioxidant and helps the body to fight aging. Another benefit to almond milk is that it is high in “good” fat, omega-3, and doesn’t contain saturated fat, which you often hear about as bad fat. A proper balance of fat intake helps to keep cholesterol levels and your heart healthy. To add almond, coconut, or other milk to coffee, allow it to warm to room temperature to avoid curdling, then stir into coffee. It works best in darker roasts as the lighter roasts may cause curdling. Though it may take some getting used to not putting in cream and sugar, give one or more of these healthy substitutes a try. After all, since there are proven health benefits to drinking coffee, you might as well get the most out of your morning brew. Don’t drink coffee within eight hours of bedtime. The caffeine is a stimulant (which is why we love it so much!) and can interfere with sleep patterns. Some people are less sensitive to caffeine than others and may be able to drink it later in the day. Be mindful of any sleep changes you notice when drinking caffeine in the afternoon. Always consume organic coffee to avoid exposure to pesticides. Though it may be a bit more expensive than its non-organic counterpart, drinking organic coffee helps to lower your risk of certain cancers, Parkinson’s disease, and miscarriage in pregnant women. This is because coffee farmers use up to 250 pounds of chemical fertilizers per acre which contribute to these health issues. Purchasing organic also helps to support farmers who are dedicated to sustainable farming practices, many of which are certified as fair trade producers as well. 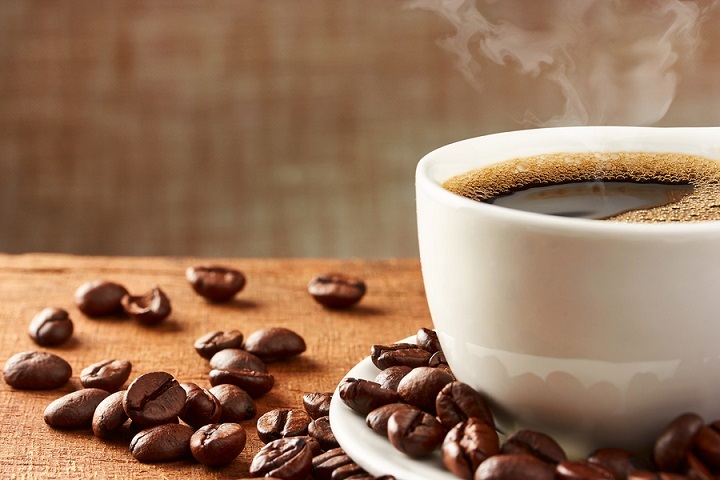 Avoid decaffeinated coffee as the process to remove caffeine typically uses toxic solvents. If you prefer decaf, be sure to purchase coffee that has been decaffeinated by a process that uses hot water or another non-toxic method. Use organic, paper filters for brewing. The process of brewing causes an elevated level of diterpenes which evidence shows can raise cholesterol. By filtering the coffee with paper, diterpenes are greatly reduced, but you still retain caffeine and healthy antioxidants. 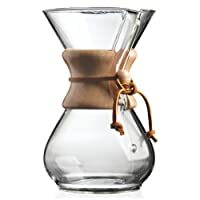 If you have high levels of LDL (bad) Cholesterol, you may consider a brewing method that uses extremely thick filter papers such as the Chemex Coffeemaker; these thicker papers block more of the coffee oils that contain LDL Cholesterol than any other kind of brewing method. 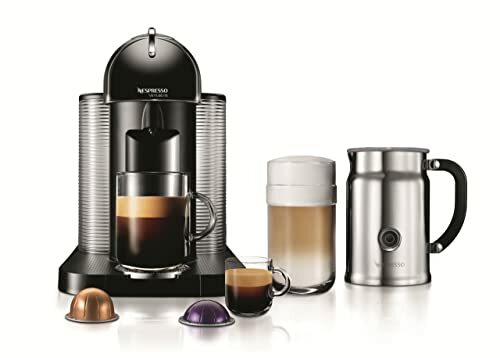 While you don’t have to take your cup of Joe too seriously, these simple tips will help make a great brew even better. We want to know: What do you add to (or remove from) your coffee to make it healthier? Please share your great tips. Disclaimer: Please note that any health effects in this article have not been evaluated by the FDA and are not intended to diagnose, treat, or cure any disease. It is important to also note FourthEstateCoffee.com is a participant in the Amazon Services LLC Associates Program, an affiliate advertising program designed to provide a means for website owners to earn advertising fees by advertising and linking to Amazon.com, Amazon.co.uk, Amazon.ca, Endless.com, Smallparts.com, Myhabit.com, and any other website that may be affiliated with Amazon Service LLC Associates Program. We do not specifically market to children under 13.